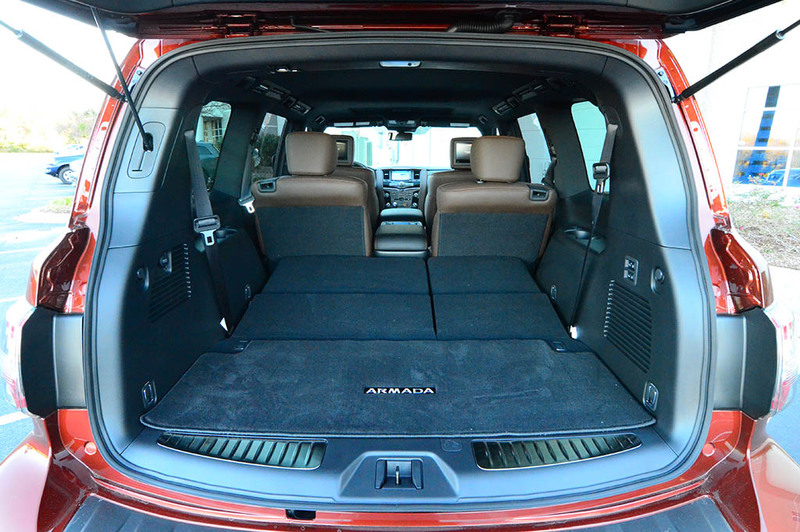 Taking into consideration the relatively low gas prices, an abundance of available tech features, and a road-dominating stature, there’s never been a better time to buy a new SUV or crossover utility vehicle. 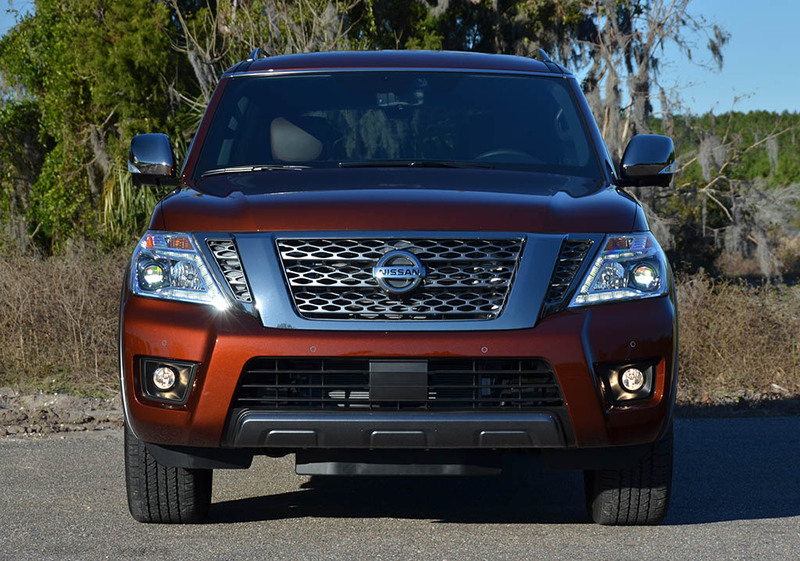 With the record sales of SUVs and crossovers, manufacturers have shifted into higher gears to give the American masses what they want, and many are finding those wants leaning towards the mammoth-sized body-on-frame SUVs like the new Nissan Armada. 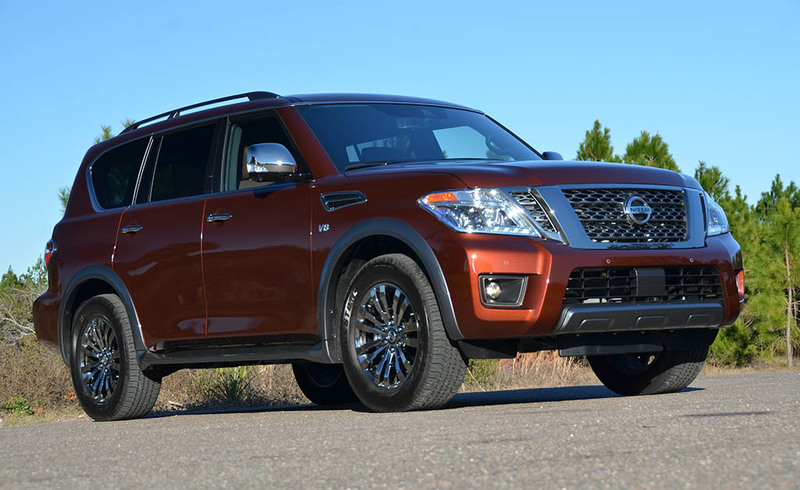 Nissan’s latest Armada takes on a new approach to satisfy those who want to be adventurous enough to keep the body-on-frame SUV formula alive. 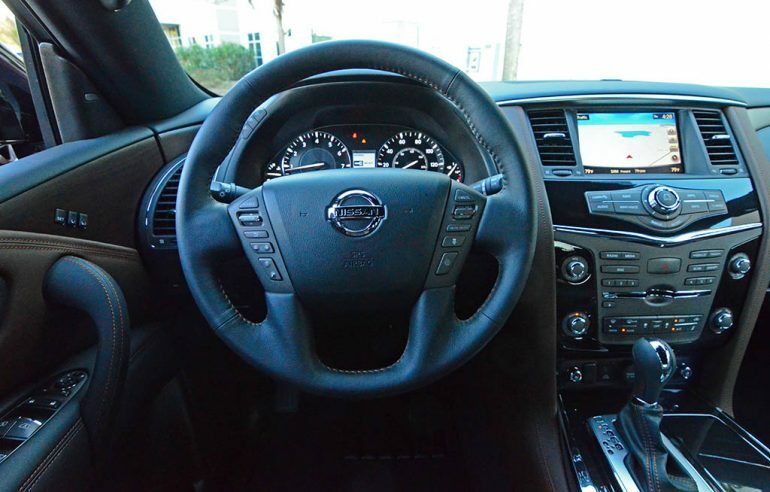 As such, Nissan cleverly brings its well praised Patrol SUV from overseas and slaps the Armada badge on the well-endowed body structure that shares many counterparts with its up-class Infiniti QX80 brethren. 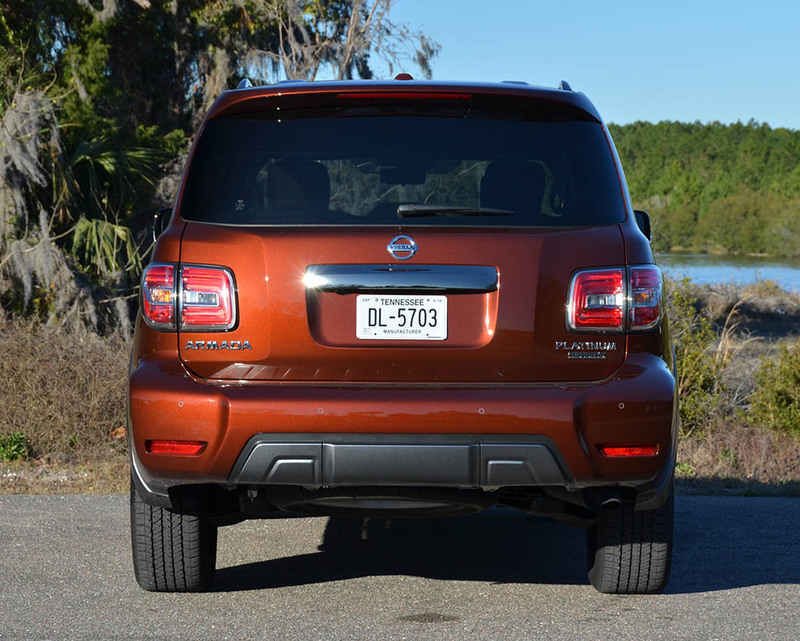 Despite leaving some of the hard-core off-roading bits off of the Armada when compared to the Patrol or even the QX80, the welcomed and tweaked suspension system is up to the job to deliver a compliant ride for American city dwellers who may never see paths less traveled. 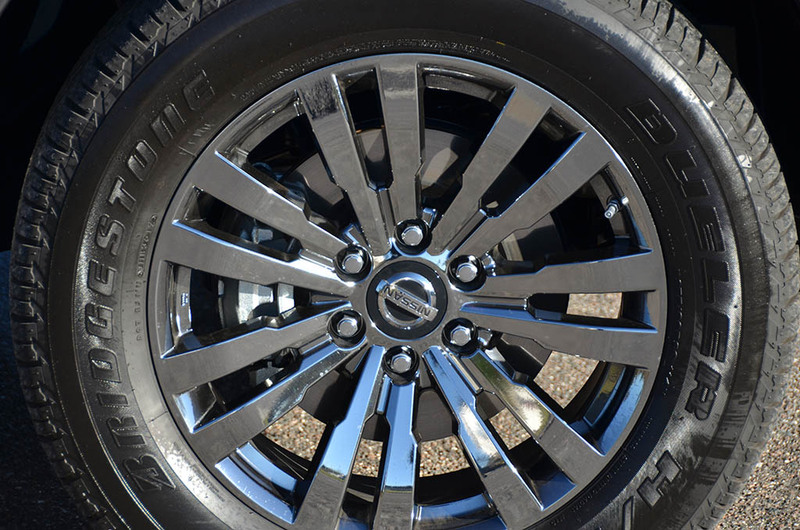 After taking on the new Armada for its newly styled 2017 model year, I knew Nissan had the right formula to appease those who demand one of the largest SUVs you can buy today. 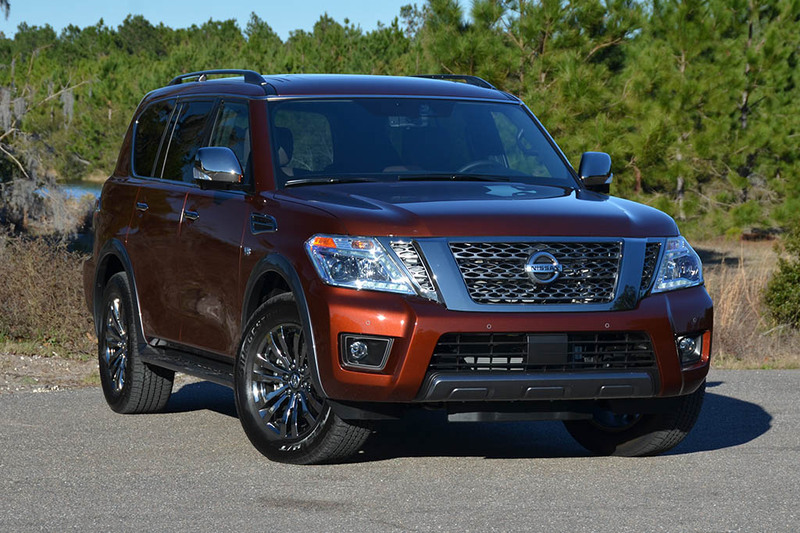 You can’t help but to compare the new Nissan Armada in its top-level Platinum Reserve trim, a new offering for the 2018 model year, to the Infiniti QX80. 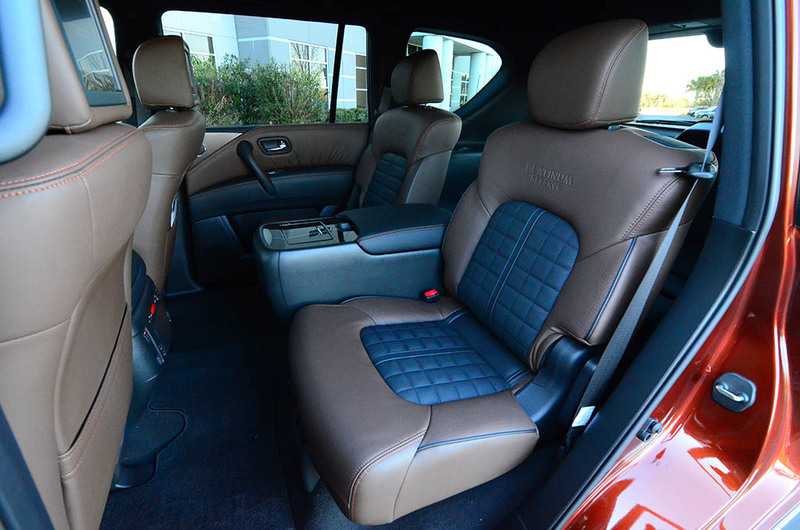 In fact, most won’t be able to tell much difference in the two, which is a good thing. 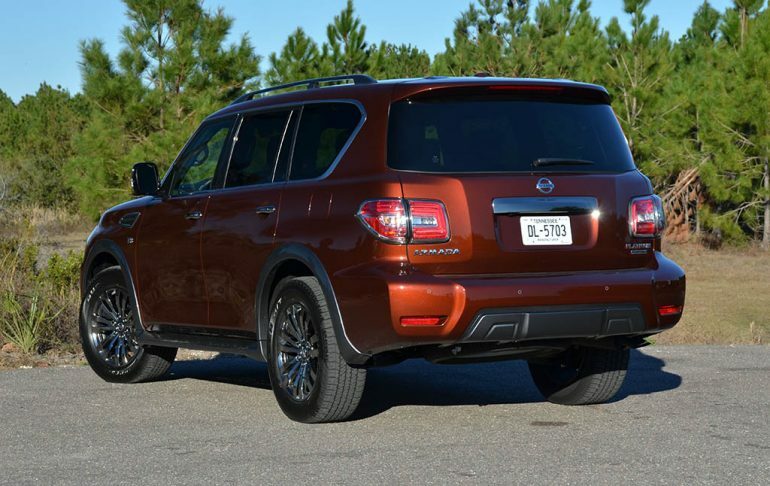 Not to take away much from the slightly better-appointed QX80 touting a much more adaptive suspension setup that feels more planted than that of the Nissan Armada, but the Armada is the more desirable vehicle for those who balk at the idea of spending close to 6-figures on their next SUV. 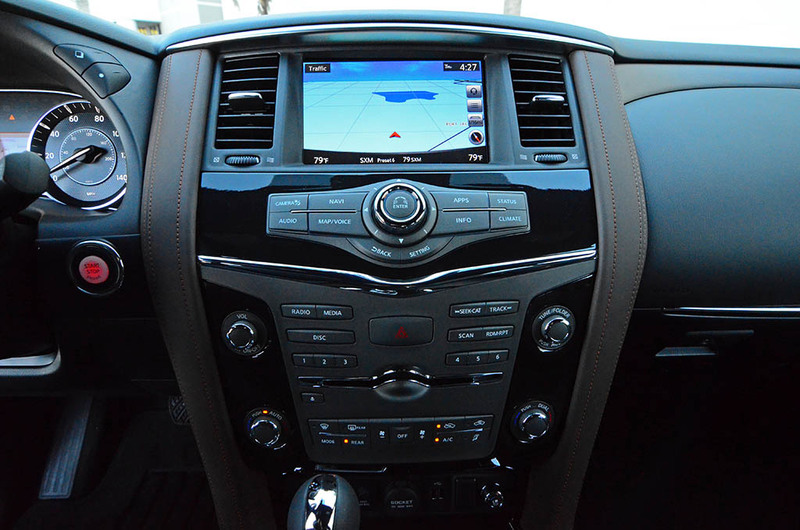 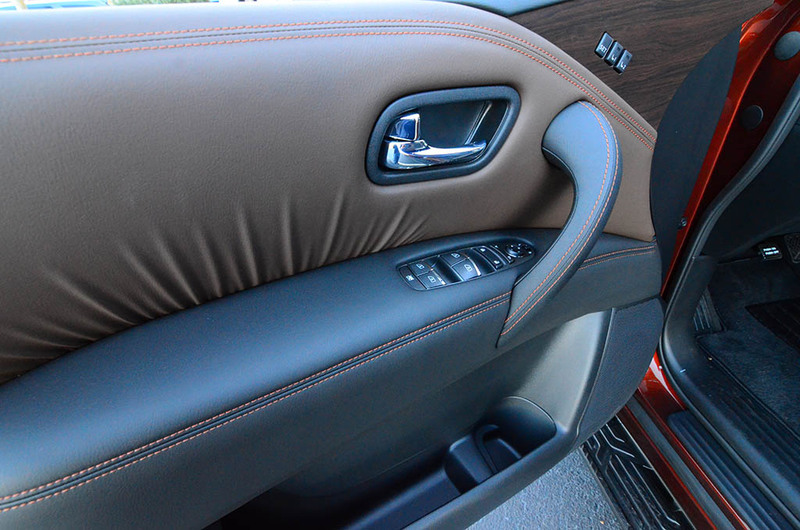 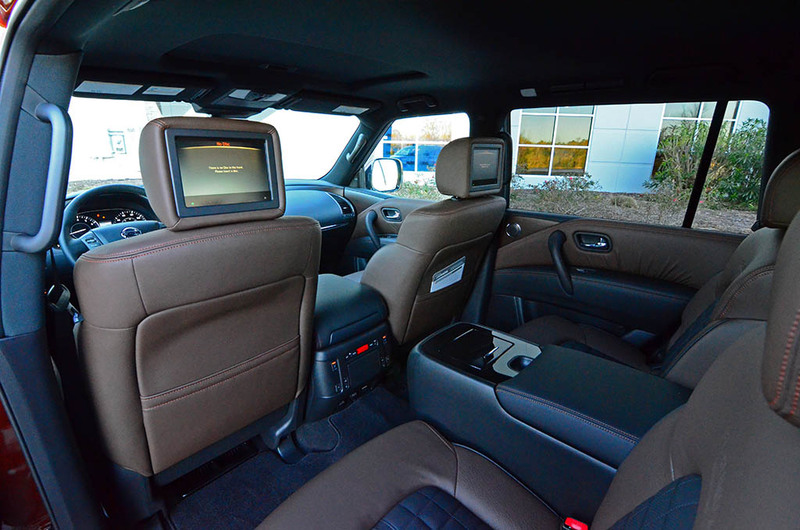 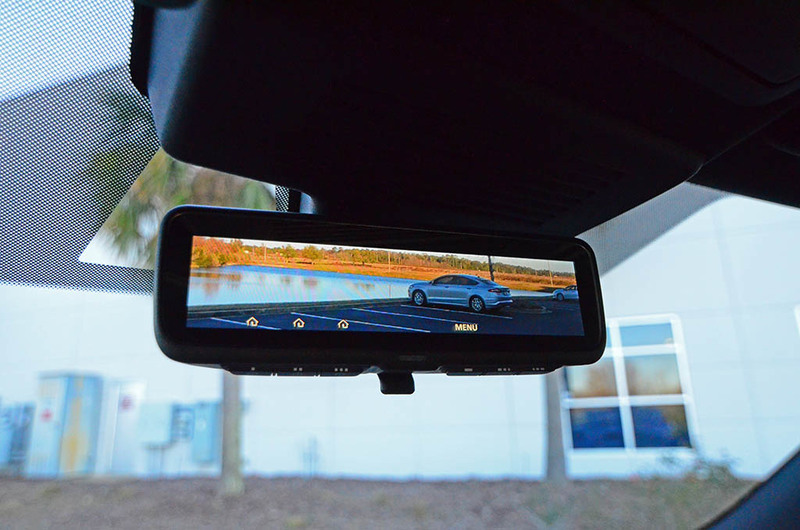 With such, the new 2018 Nissan Armada Platinum Reserve, a new trim level that adds a few welcomed bits, such as an Intelligent review mirror (live-feed LCD display review mirror system), open-pore wood trim, dark chrome-clad 20-inch alloy wheels, and a new contrasting perforated leather seating areas. 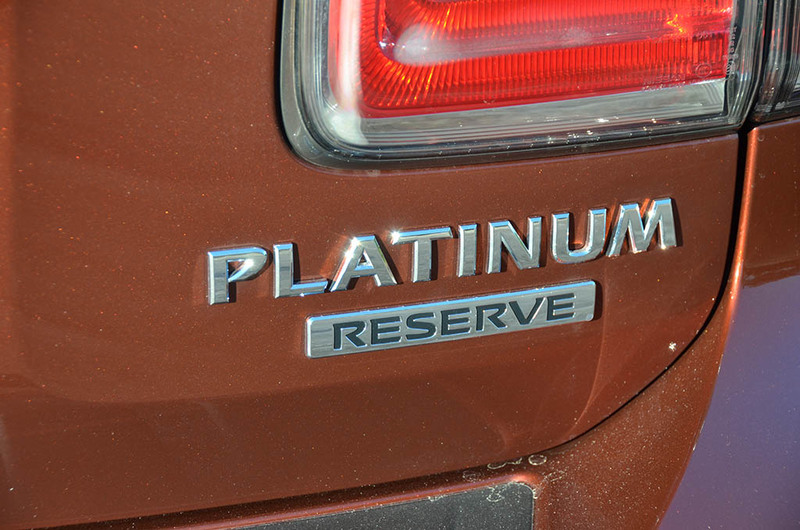 While the new Platinum Reserve trim is more of an appearance package, it inches the new Armada even closer to its luxury-laced QX80 sibling. There is a suite of active safety features that virtually wraps the new Armada in a safety blanket and an easy-to-drive nature to the Armada that doesn’t intimidate when piloting such a large machine. 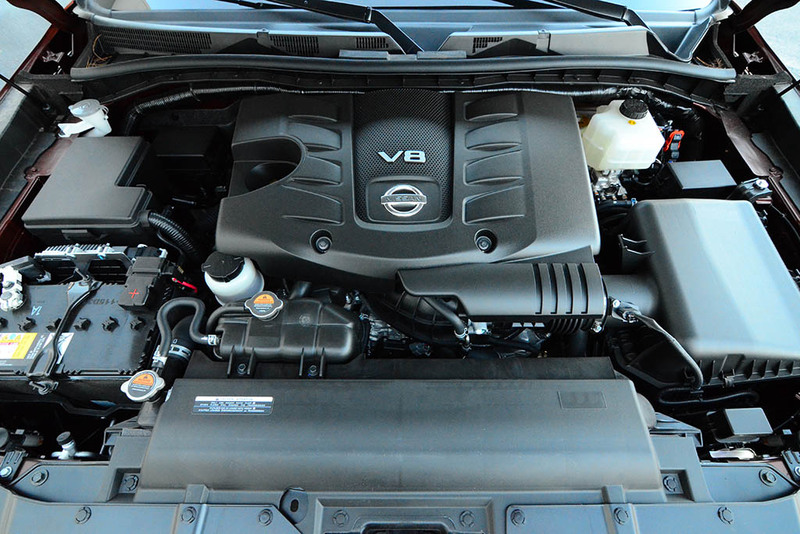 Speaking of piloting, the new Nissan Armada is a joy to drive with ample power from its old yet proven 5.6-liter V8 engine with 390 horsepower and 394 lb-ft of torque, which gets mated to the brand’s also-proven 7-speed automatic transmission. 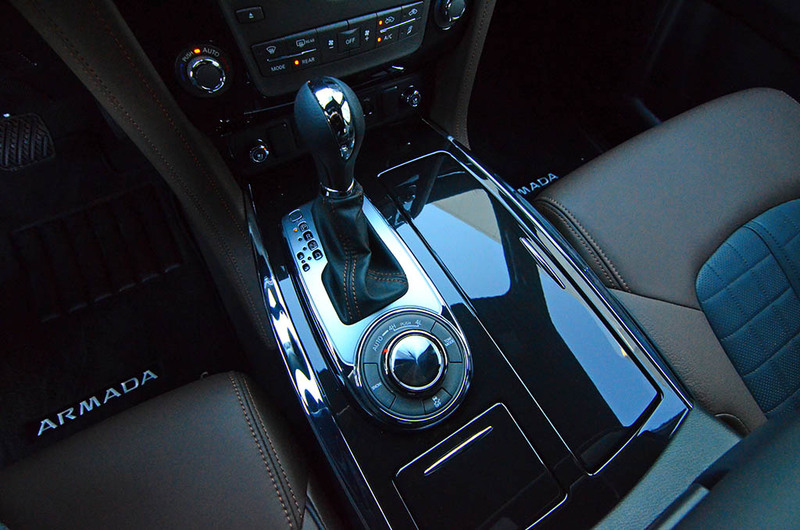 The almost-instantiations power thrusting through the four wheels gets things in motion to move nearly 6,000 pounds with authority up to 60 mph in about 6.5 seconds. 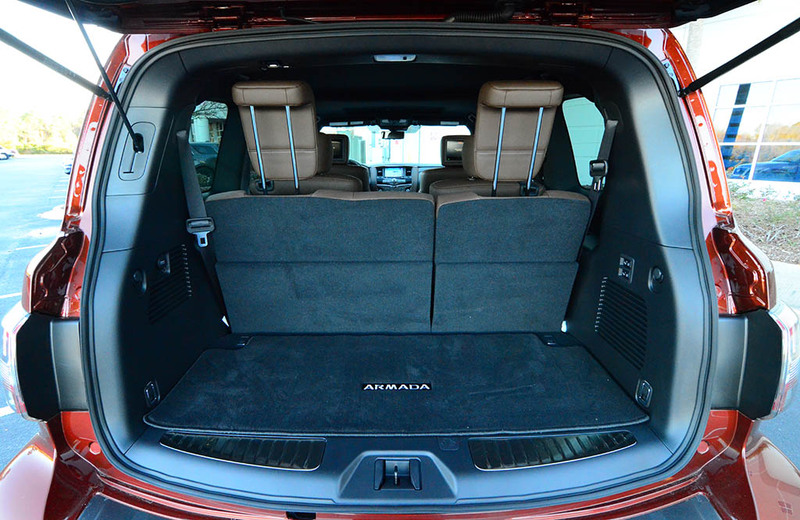 Getting out of the way of itself and some, the Armada never feels underpowered even when loading in seven passengers and a few heavy suitcases. 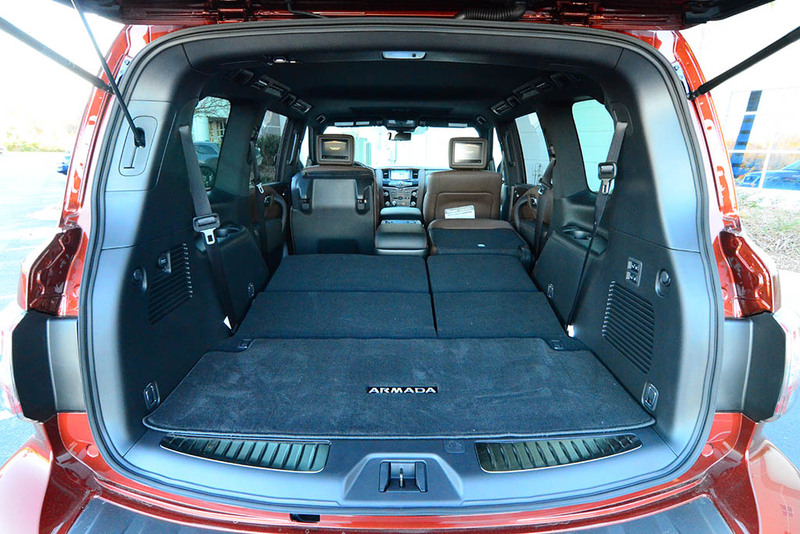 You can also tow up to 8,500 pounds when properly configured. Unfortunately, the robust power and heavy weight come at a price at the pump that will only permit 13 mpg in the city and 18 mpg on the highway for my 4×4 Armada. 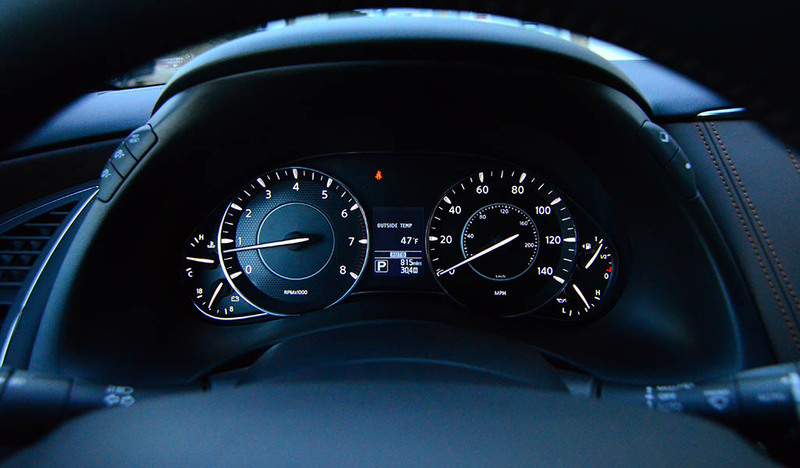 Just as my last endeavor with the new Armada, I averaged a dismal 14.8 mpg during my week-long adventure with Nissan’s large SUV. 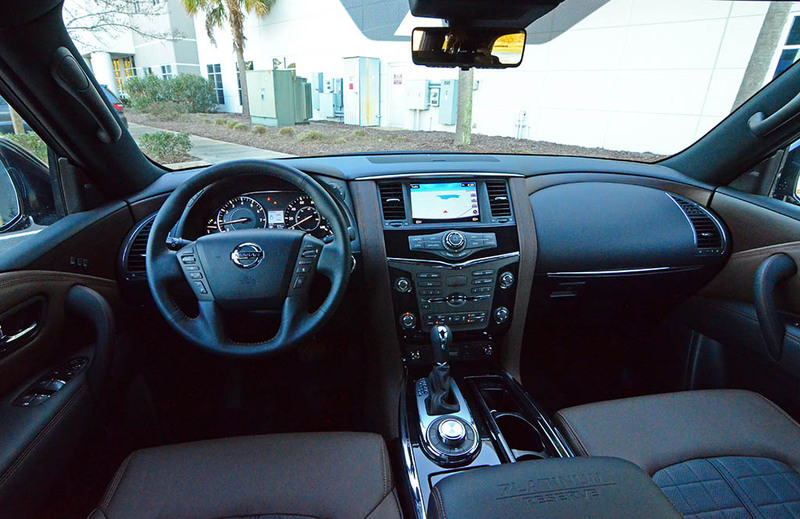 Getting to what makes the new Nissan Armada in its Platinum Reserve trim an attractive buy in more ways than one is its price tag. 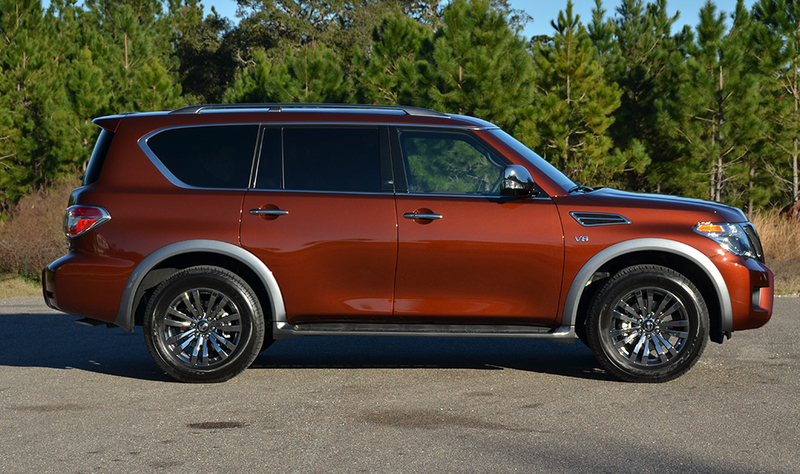 The new Nissan Armada already starts at a respectable $46,090. 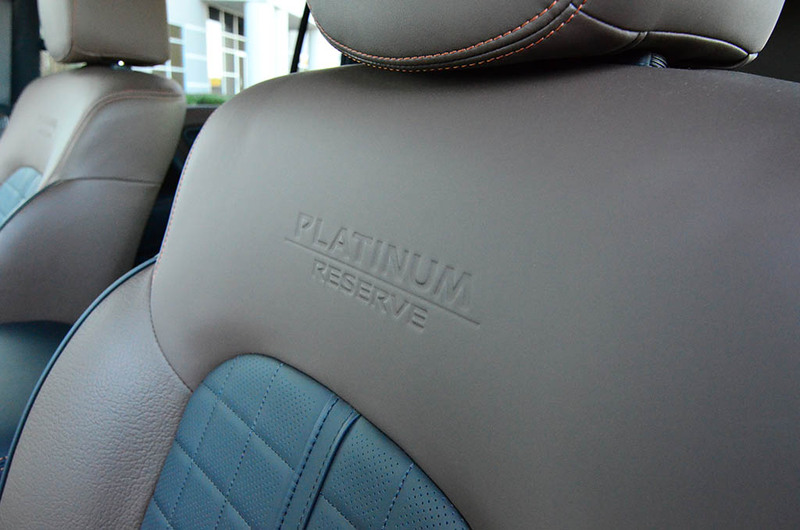 Moving to the top Platinum Reserve trim, which includes many sought-after features and amenities, the price comes in just at $67,000, including destination and delivery charges. While the Infiniti QX80 still retains an edge on the Armada for its more enduring ride quality, additional power, added luxury amenities, and the full-on luxury ownership experience, the Nissan Armada Platinum Reserve is a bargain for mild luxury seekers. 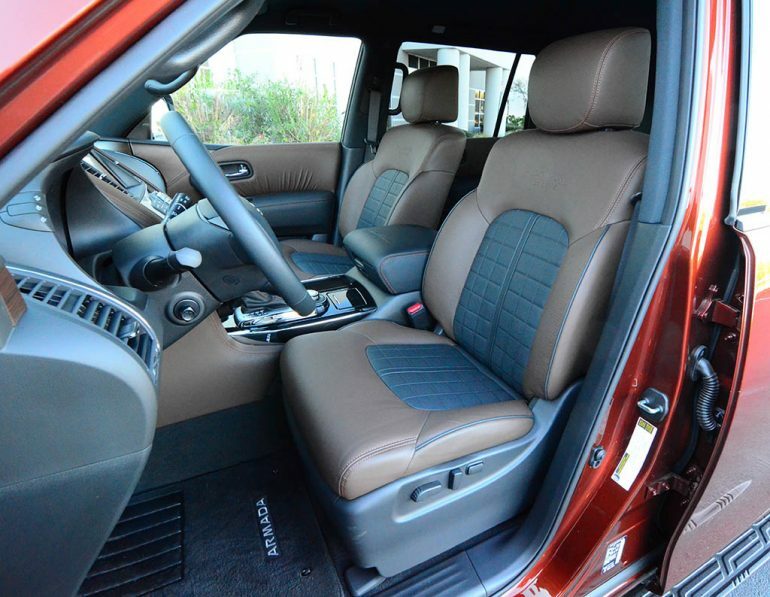 Moreover, the new Armada is my choice over vehicles like the new Toyota Sequoia and Chevrolet Tahoe normal-wheelbase. 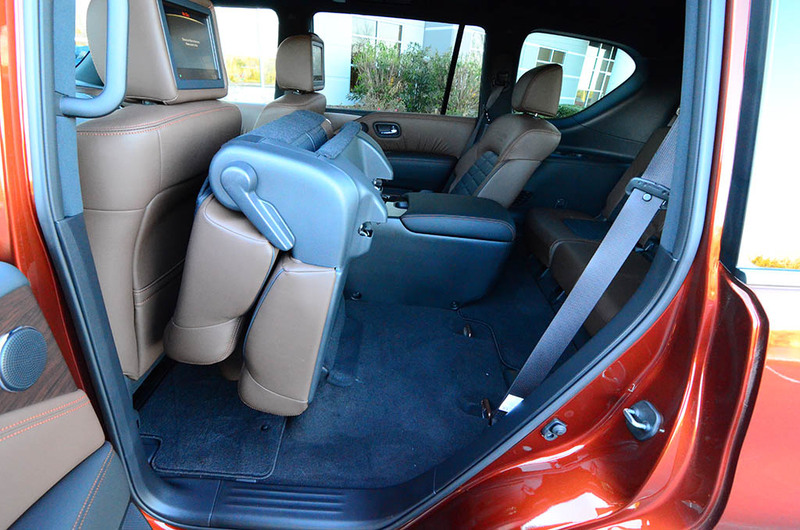 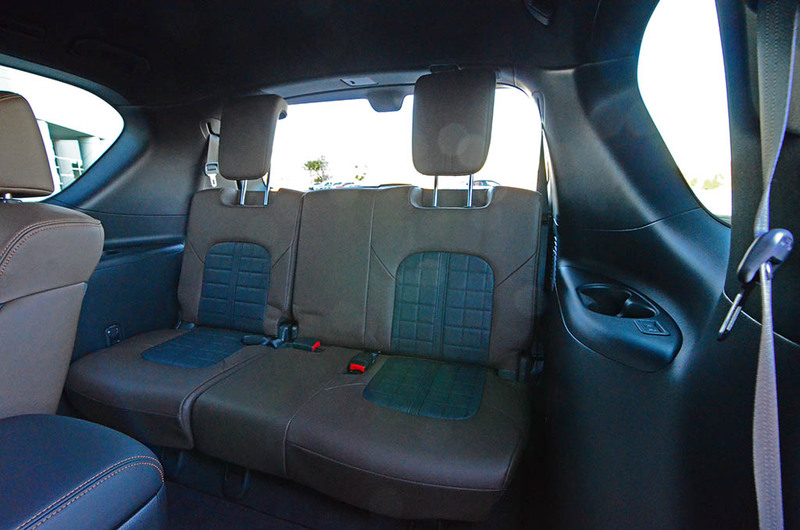 EPA cargo volume: all seats folded-95.4 cu.ft.